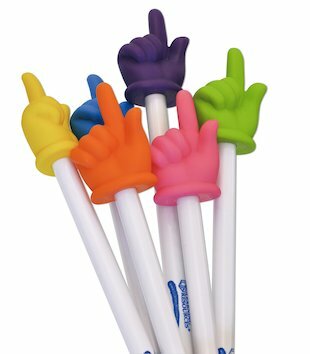 A colourful new look for our bestselling hand pointer – now with added ooomph! Bolder and brighter than ever, this cool tool is the perfect way to get your point across. Answer questions with it, point things out, or ask for stuff you want. Then just put your imagination to work! You can play games with it. You can poke pesky siblings with it. If you’re really revolting, you can even pick your nose with it! It’s the ultimate prop for show-and-tells in class – and all kinds of cheeky fun! Many books I am ordering from the magazine that we got at school such as my story scratch it (pets) and 1 more which i can not spell i am ordering this to i am so happy i am ordering some things at last!!! !